Grace. Such a tiny word that has tremendous meaning. 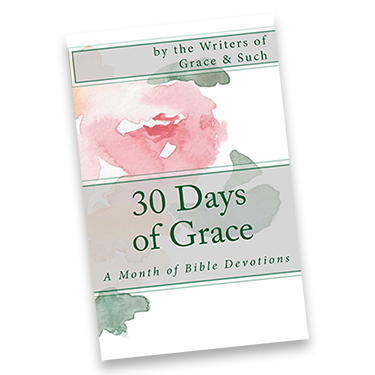 There are so many things grace can mean. For example, it could mean that six-month period the loan companies give you after you graduate college (yeah… not really looking forward to that in two years). It could mean that extra ten minutes your kind professor gives you to run to the nearest printer for that 15-page paper you cried, bled, and sweat over without counting it as late. It could also mean an extension on a deadline. The one you had known about for weeks because the head-honcho-lady kept sending you emails about it, (no, I am not talking about my mother!) but not getting labeled as an “incompliant” chapter. So what, you might ask yourself, do all of these examples have in common (besides them all happening to me either now or later)? They show favors I’ve been given but didn’t deserve. All throughout my middle school and high school career, I was heavily involved with my church. One Sunday morning as I was helping in the kids’ building, an amazing woman named Melissa was talking about how grace is a gift we don’t deserve, yet God is still more than willing to give us. And to me, that is the perfect way to define grace. As a gift. Every time we mess up God is always there to shower us with love, affection, and grace. His grace is unconditional, unwavering, and constant. Even when we don’t expect to be given it, when we think we are not good enough to receive grace, God is there to prove us wrong and tell us that we are good enough, that His grace is not one size fits all. Every. Single. Time. God’s grace is so wonderful, so fantastic that we, as Christians, need to share it with anybody and everybody! We are incredibly lucky to be able to receive His grace, so why wouldn’t we share it when the opportunity comes about? This gift is not meant to be kept to ourselves. Instead, it is meant to make us the hands and feet of Jesus Christ and show people just how wonderful He is. No matter what your sins are. No matter what your past is. No matter what your future holds. God’s amazing grace is always there and is always constant! That is one of the awesome things about God. He does not care about what you’ve done; He cares about having a relationship with you and getting to know you just as much as He wants you to get to know Him. His grace is free and covers our sins no matter how big we think they are. That is the most amazingly wonderful, fantastic thing about His grace… and such. Being more intentional in sharing God’s grace! Great reminder, Katie!! You are wise beyond your years Katie! Excellent guest post and even with all that grace given to you over the years by your parents, I know they are incredibly proud of you! Grace really is wonderful and fantastic! Thanks for sharing your thoughts. Love you reminder that The reason for this gift of grace is that God wants so very much to be in relationship with us. Great post! Katie, great perspective & insight! I love this: This gift is not meant to be kept to ourselves. Instead, it is meant to make us the hands and feet of Jesus Christ and show people just how wonderful He is!! Have a blessed day & weekend! The grace of one woman sharing what a gift from God grace is…shows the kind of impact we can have if we are letting that grace flow through. Carry it on, Katie. Well said! This is a very nice blog post sweetheart……I see things like this that you have written and I am amazed that the little girl that used to give me notes written in crayon has grown up to be such a great writer! Grace….a gift that is not meant to be kept to ourselves…..love it! Thank you for reminding us about how Grace moves….We get drenched with it…and then get to pass it on….beautiful! Beautifully stated Katie, you are wise beyond your years. Thanks for the reminder that God’s grace is free to share and to receive. I’ll bet your parents are so proud of you. Keep shining.